We are pleased to announce the 2013 Jed Luckless Holiday Revue! 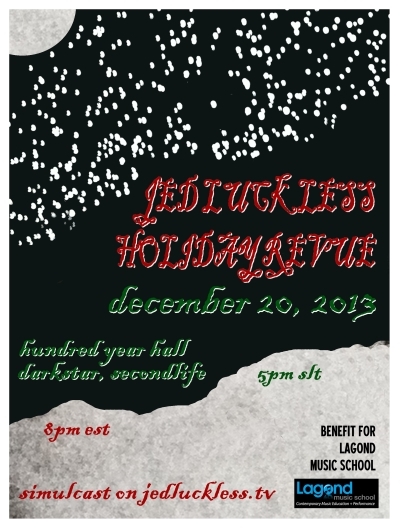 We hope you will join us on December 20th at Hundred Year Hall in Secondlife for our fifth annual holiday charity event at Darkstar. Each year the Holiday Revue has raised money through ticket sales and donations for a variety of charitable causes. The kindness and generosity of our friends and fans has helped us raise thousands of dollars to fight hunger and poverty, provide disaster relief and support education and social services. This holiday we are raising money for Lagond Music School, a non-profit organization in Elmsford, NY which is dedicated to contemporary music education and live music performance for children. Lagond serves a diverse community of students throughout the area, helping them achieve their full creative potential through music, and influencing their academic success and social achievements as well. As always, the 2013 Holiday Revue will feature two sets of your favorite holiday music by Jammin’ Jed Luckless, with a special intermission mashup. Why: To celebrate the season with friends and raise money for a worthy cause! 100% of the proceeds from the event will be dontaed to Lagond Music School. Advance tickets are available in Secondlife for $L500 from Beachy Piers or Jed Luckless. Please get your tickets early as the Holiday show is a popular one at Darkstar and Hundred Year Hall does fill up fast! You can also donate via paypal on the web. 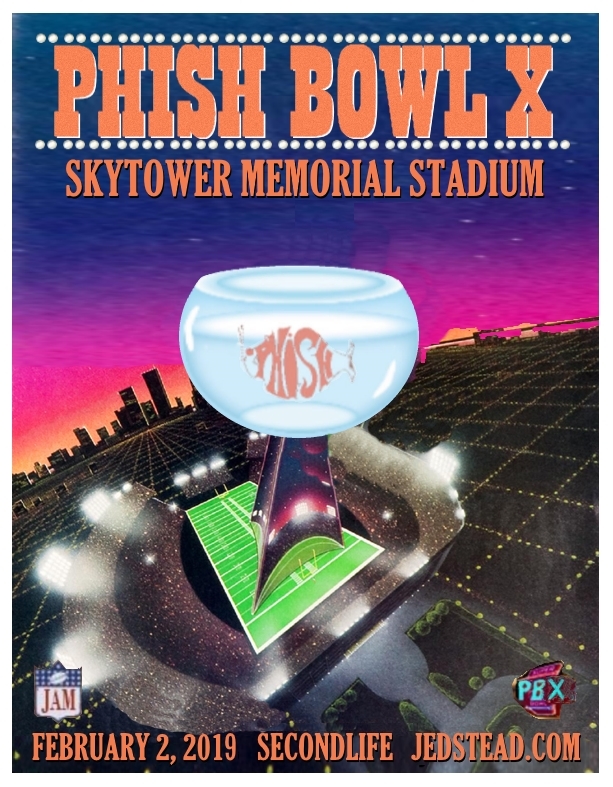 Announcing Phish Bowl X our annual celebration of Phish and the Super Bowl on February 2nd, 2019! 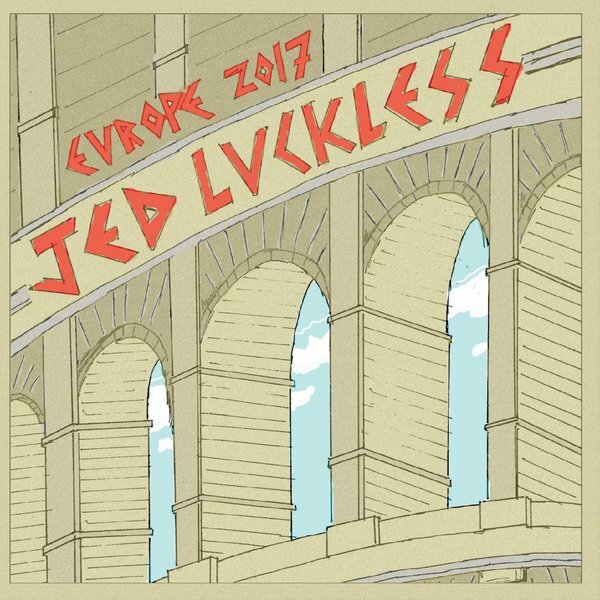 Jed Luckless · Original music streamed live online.